The sun is well and truly out as we kick off Saturday’s festivities with an 11am set on the Avalanche Stage. The Bottom Line ramp up the energy of the small but ever-growing crowd with their infectious brand of pop-punk. There is great interaction with the crowd, getting everyone to sing along and also compete against each other in a noise competition. All hangovers are easily dispelled watching the quartet jumping around the stage. Staying on the Avalanche Stage we have Australian quartet The Faim. There are issues with the guitar, including a string breaking but guitarist Michael Bono doesn’t let it phase him. Vocalist Josh Raven may well have still been ill, however, you couldn’t tell as he bounds around the stage, showing off his uncomfortable flexibility and absolutely insane vocal range. The crowd are lapping it up, singing along to not only the singles but even the unreleased songs. Small inflatable beach balls are thrown into the crowd for catchy latest single Summer Is A Curse and show number 50 of their tour goes down very well with the packed tent. On the Zippo Encore Stage, Asking Alexndria kick things off with a laugh from the crowd as frontman Danny Worsnop goes flying during opener Into The Fire. This leads to Danny trying to explain himself and some banter with guitarist Ben Bruce. At times in the opener, Danny’s vocals are a bit off key but this gets rectified as the set goes on. The band sound great and are back on form. There is a dedication of Someone Somewhere to the armed forces before an emotionally charged acoustic rendition that has every member of the crowd singing along. Most of the set features tracks from their new, self-titled album but also a couple of classics including The Death Of Me. 6PM is a very early time for the Zippo Encore Stage headliner to be performing but as the Zippo and Dogtooth Stages find out, their headliners come much earlier than usual due to the mammoth Guns ‘N’ Roses set on Main Stage. This does have one major negative effect on the Parkway Drive set, in that the sun is still well and truly out, which adversely affects the effect of the pyro and fireworks. While they do still look great, the natural light hinders the full WOW factor. This, however, has absolutely nothing on Parkway Drive themselves, who put in an absolutely top-notch set. From the opening of Wishing Wells to the closing of Bottom Feeder, they are brutal, entrancing and energetic. The Avalanche Stage doesn’t have the early finish of the other two stages and the crowd take advantage of this as The Maine take to a pretty full tent to take the mickey out of the social media generation. They show exactly why everyone has been raving about them as they belt out tracks like Diet Soda Society, Am I Pretty? and My Heroine. There is a moment where the entire crowd melts as The Maine bring a young girl called Olivia on stage to sing part of Girls Do What They Want, just part of the great interaction the band have with the crowd. Next on the Avalanche Stage are Mayday Parade who are absolutely incredible! The majority of their set is focused on their back catalogue including Jimmy All Over and Three Cheers For Five Years, however, they excite fans for new album Sunnyland with the awesomely titled new single It’s Hard To Be Religious When Certain People Never Get Incinerated By Lightning and Piece Of Your Heart. The crowd are eating out of the palm of their hands, particularly with closer Jersey! As Main Stage hits around halfway through the mammoth G’N’R set, Neck Deep take to a packed out tent to the opening of Sweet Child Of Mine. The backdrop features a mock-up of the Guns ‘N’ Roses logo with Neck Deep emblazoned on it, leading frontman Ben Barlow to joke that they’re not G’N’R but are trying. There are less crowd surfers than anticipated but both the crowd and the band’s energy is off the wall. The vocal mix was not the best, with Ben at times sounding like he’d inhaled a helium balloon, but this didn’t fully detract from the night. There is a mix of old and new tracks, including going all the way back to Rain In July with All Hype No Heart and What Did You Expect?. Tracks including Gold Steps, Happy Judgement Day, In Bloom and December get huge sing-a-longs. The whole set is a bundle of energy and one of the highlights of the weekend. Going from the high of Neck Deep to the low of a very off-key Axl Rose in the remaining part of Guns ‘N’ Roses set is very disillusioning. Knockin’ On Heavens Door and Nightrain sound terrible. Slash redeemed some of the set with his well performed guitar solos but as the encore gets into Paradise City, it cannot come too soon. There are quite a few covers included in the set, including a poor version of You Know My Name originally by Chris Cornell. A very disappointing set. 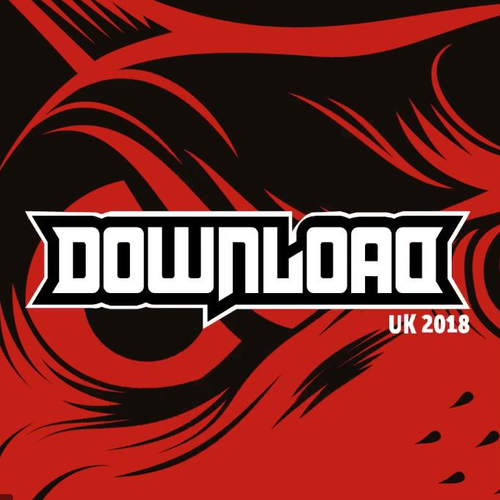 Download Festival, Feature, Festival, Live Review.